Every photograph documents “something”. The discourse, however, has long since left behind the definition of photography as the unmediated transfer of physical manifestations. We meanwhile accept as given that the camera produces ideologically charged representations through the translation of the real into the pictorial. Documentary photography, in particular, is often determined by this perception and instrumentalization. Manfred Willmann, on the other hand, is a proponent of a direction of documentary photography that eludes ideological appropriation. 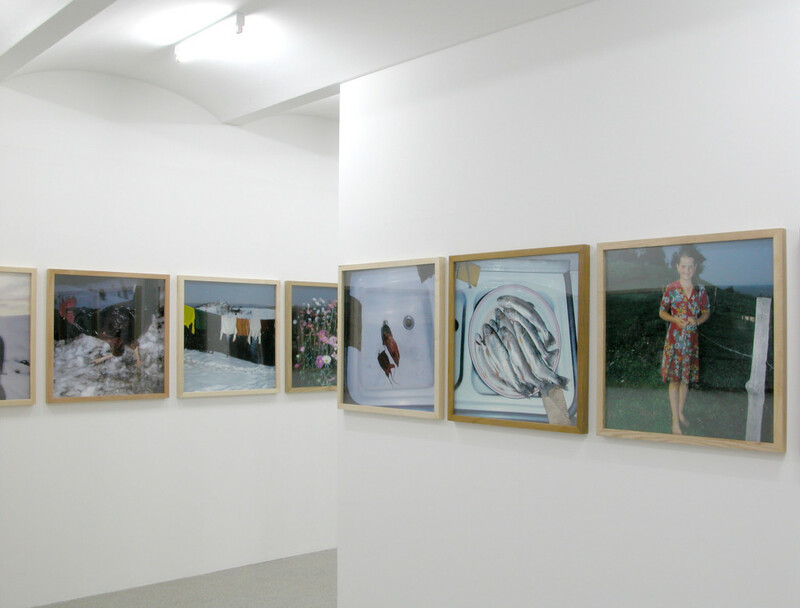 His photography is conceptual, making use of the documentary style simply as a gesture. Approximately 135 photographs from the cycle Das Land are on display in the Galerie of the Secession. 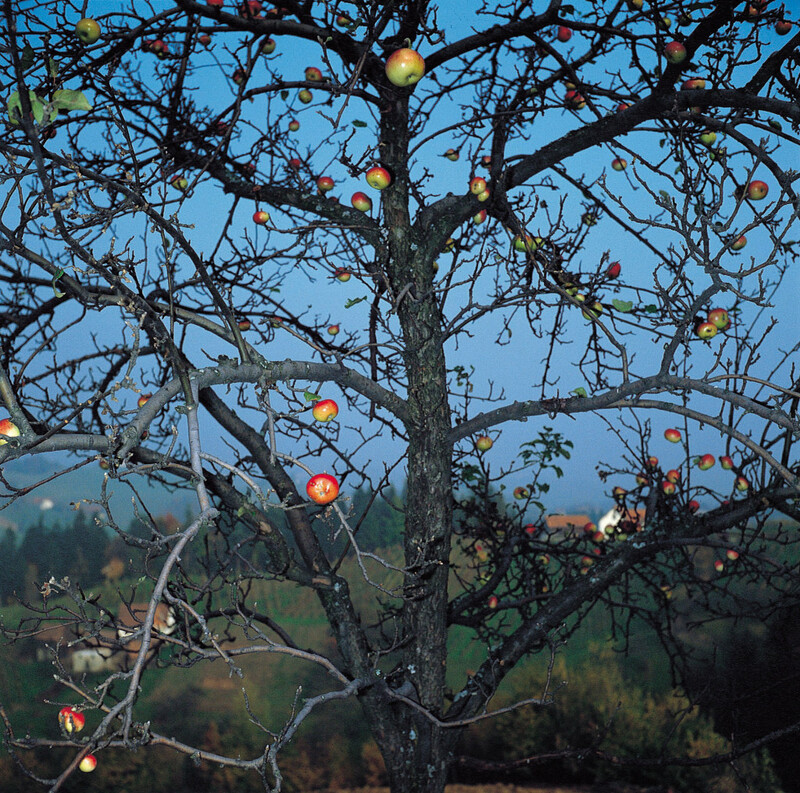 The selection is based on the book of the same name, which was published in 2000, as well as several previously unpublished photographs from the same series. 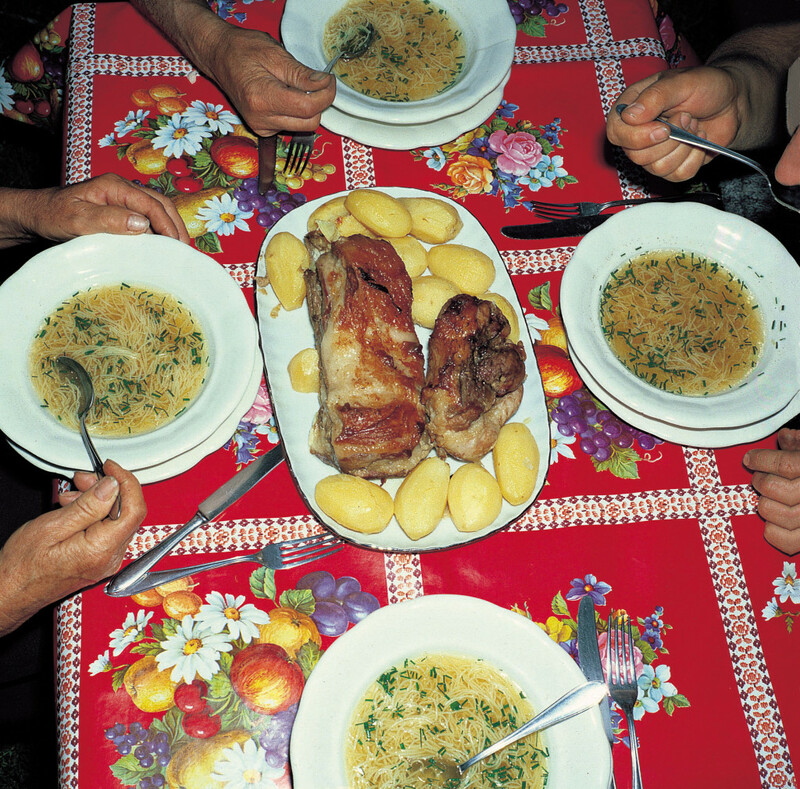 The pictures, which were taken in a loose sequence, show shots from southern Styria. The spectrum of portrayals is broad, but certain motifs recur again and again: people carrying out unspectacular, everyday tasks; working, grooming themselves, eating, celebrating, playing cards; animals, living, dead, slaughtered; the locations of rural life and their details: kitchens, meals, leftovers, inns, town fair situations, and in between, again and again, landscape shots of southern Styria. In his photographs, Willmann alternates between landscapes and details, persons and still-lifes. 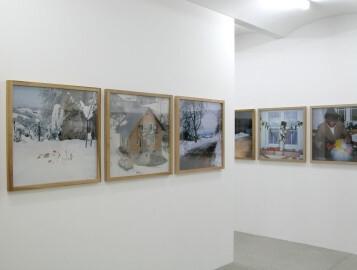 The photographs reveal that Willmann did not approach his objects as an outsider. 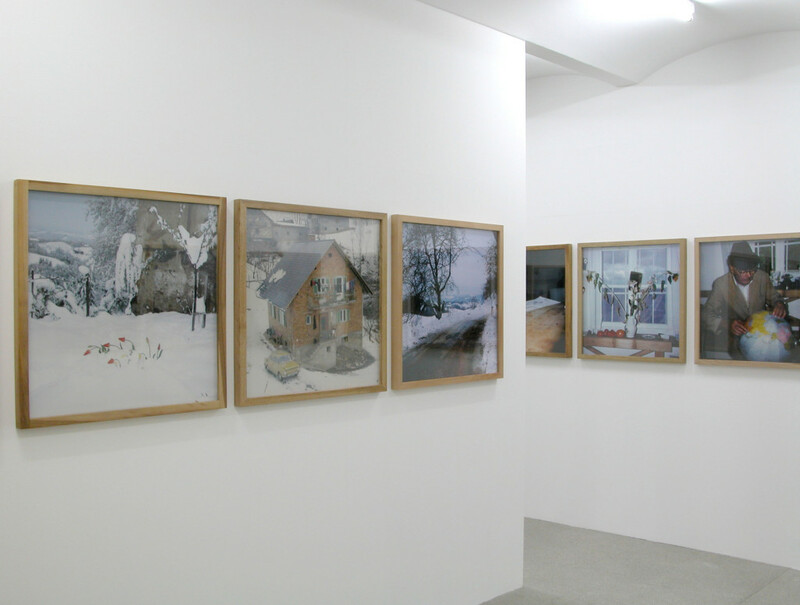 Styria, the photographer’s home, is not constructed as something “exotic” from an urban viewpoint, but rather documented as a habitat. Das Land is less the theme, than the motif. 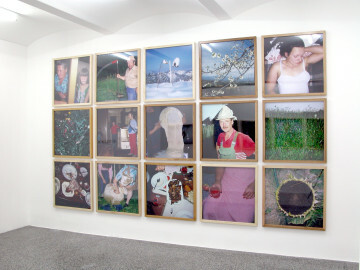 The artistic interventions in Willmann’s photographs do not take place during development, but rather during the shooting. The pictures are not manipulated and the uniform format of the prints of 70 x 70 cm corresponds to the 6 x 6 cm of the slide. Where Willmann intervenes, perhaps also to make sure that the pictures are not unambiguously legible, is in the light and the perspective. 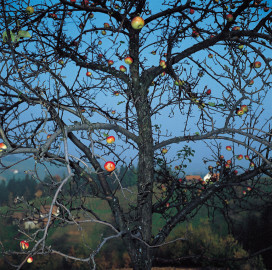 Willmann frequently uses a special flash that tears the figure out of the background, whether it is a person, a cow or an apple on a tree, so that the entire scene undergoes a different charge. In the Grafisches Kabinett of the Secession, photographs from the series Oman are presented. The central difference between these photographs from 1997 and those of Das Land, is that these were taken during a journey and panoramically. The pictures, in the format 80 x 160 cm, convey an approach that is different from that of travel photos or photographs for a geographical magazine; Willmann’s view goes beyond a specific country. 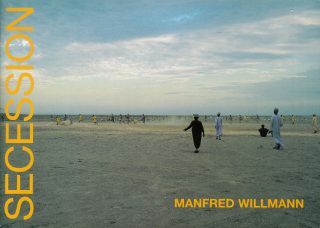 Willmann accords the horizon a central role—it is always positioned exactly in the middle of the picture. 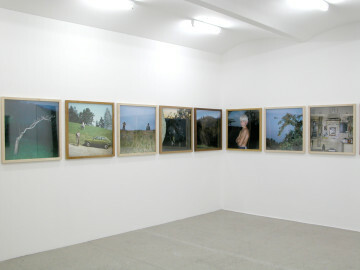 The series Oman has previously only been shown in Zagreb and Trier and is now shown at the Secession for the first time in Austria. Whether it is through the use of flash in Das Land or the choice of a panoramic representation in Oman, Willmann avoids the trap of either a one-sided representation of the given or the danger of an auratic pathos that this would yield. Manfred Willmann, born in Graz in 1952, lives and works in Graz.